After spending my last year of High School in the USA as an AFS Exchange Student, I attended Auckland University, completing a conjoint degree (Bachelor of Commerce in Management Studies / Bachelor of Arts in Japanese). 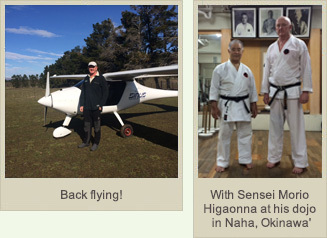 After a couple of years in Tokyo studying karate, I returned to NZ, completed my Commercial Pilot’s License and moved to Queenstown to work as a pilot. I met Yuriko and we were married in Queenstown Post Office less than a year later. We started our company Paradise Promotions Ltd in 1990, and Riki, our first son, was born in 1991. Ben arrived 13 months later in 1992. With Paradise Promotions having little work in winter and Yuriko keen to spend some time each year in Japan, we hatched a scheme to meet our growing family’s needs. 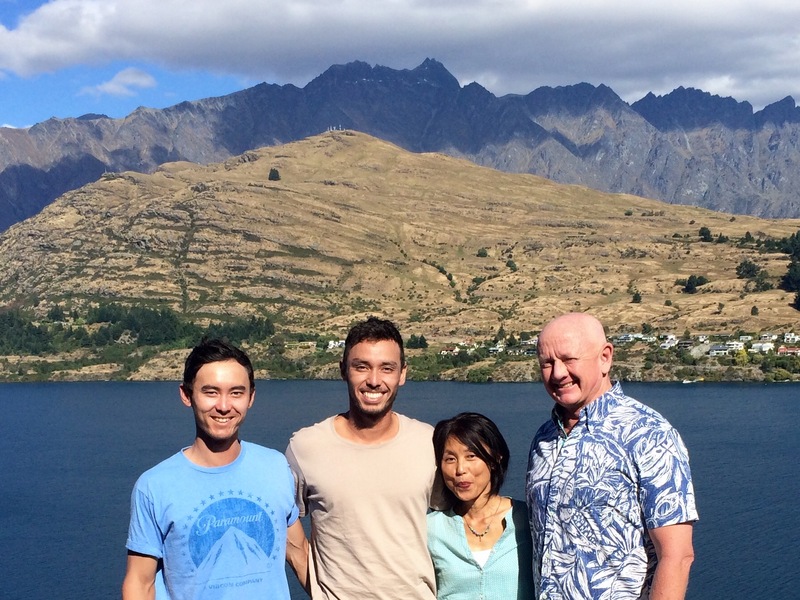 I spent the NZ winters undertaking various adventures in Japan and writing books about them while Yuriko, Riki & Ben spent time with Yuriko’s parents in Osaka. I gathered sponsors to help pay for the adventures and we made money from book royalties and magazine articles that I wrote on the adventures. Along with good friends Richard Ryall and David Joll, we formed Tanken Tours Ltd, providing transport / sightseeing options for Japanese visitors – then purchased Wilderness Adventures Ltd, providing hiking and outdoor tours to the same market. My various adventures turned out to be excellent marketing in Japan. We also started a ‘media co-ordination’ arm to our business, co-ordinating visits to NZ for Japanese print, television and film media. After climbing Japan’s 100 Famous Mountains in 1997, I approached Lonely Planet about a Hiking in Japan guidebook for their Walking Guidebooks series. This started an association with Lonely Planet that has been going on for over two decades. In 1999, our family headed off to Hawai’i. I received a Fujitsu Asia-Pacific Scholarship to study for an MBA at the University of Hawai’i and at JAIMS (Japan America Institute of Management Science). The boys went to Waikiki School, Yuriko kept her studying boys under tight control, and we had a great year – followed by three months in Osaka, Japan. We returned to Queenstown in late 2001. Since then, our business in the southern hemisphere summer has blossomed. In 2001, Yuriko and I wrote and published the ‘All Milford Guide’ in Japanese. We lead hiking and general tours all over New Zealand between October and April each year, and in the southern hemisphere winter (the northern hemisphere summer! ), I work for Lonely Planet and lead hiking tours to many European destinations. After covering the Greek Islands for Lonely Planet, I started taking Japanese hikers to Greece in May each year through Alpine Tours, Japan. 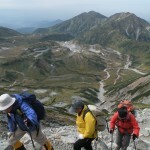 I spend much of June/July each year leading Japanese hiking groups to Switzerland, Austria, France and Italy. I have also taken Japanese groups to Tonga, New Caledonia & Australia. Going the other way, for a few years, I took American hikers to Japan for Wilderness Travel, an American company based in California. I also have a number of private clients I take on tours around Japan. My toughest task as a ‘freelance anything’ has been managing Riki and Ben’s tennis careers! 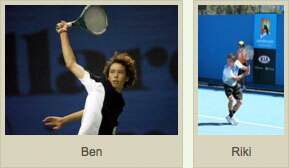 Both boys played in all four Junior Grand Slams (including Junior Wimbledon) and both have attended the University of California at Berkeley on tennis scholarships and captained the team. 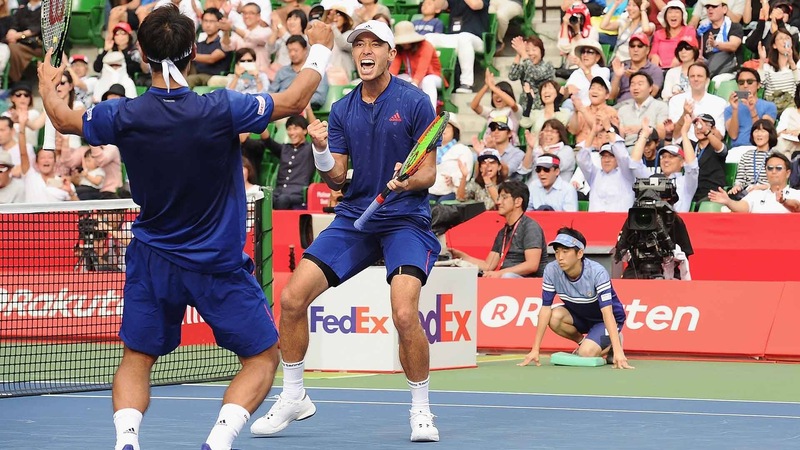 Ben is now on the ATP tour as a doubles specialist – he changed his ‘tennis nationality’ to Japan, is a member of the Japanese Davis Cup team and won the doubles title at the ATP500 Rakuten Japan Open in both 2017 & 2018. He has four ATP doubles titles, including Auckland’s 2019 ATP250 ASB Classic, to his name and his final ATP ranking for 2018 placed him at #18 in the world at doubles. Riki is on the road with Ben, as his coach and manager. In the last few years I have written my first novel, e-published two books on adventures in Japan, renewed my pilot’s license and started a new venture, Zenkuro Sake, with my buddies! We won a gold and a silver medal at the 2016 London sake Challenge! A firm believer that New Zealand should become a republic, change its flag and change its name, my first novel ‘Kiwi Republic’ is now available both as an e-book and a paperback on Amazon.com. My latest venture – I am now a registered independent Marriage & Civil Union Celebrant and can conduct weddings throughout New Zealand! Yuriko & I are also running an Airbnb apartment in Queenstown. If you’d like to come and stay and get married in this paradise, get in touch! If, after reading this, you feel that I can be of help to you, please contact me – I have various skills that may be of use, and since I am a ‘freelance anything’, I’m always keen to take on new tasks and adventures. Copyright © 2019 Craig McLachlan. All rights reserved.